Workshops - Marnie Cooper School of Acting, Inc.
Marnie Cooper School of Acting, Inc.
John was named one of the 40 Most Promising Directors by IMDb. He grew up in the business, learning directing firsthand from his father, William Asher, who directed 100 episodes of I Love Lucy, The Patty Duke Show, Bewitched, to name a few. John also went on to act, and was cast as a series regular on Weird Science for 4 years. 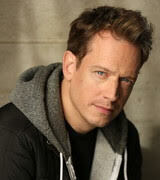 Some of his recent credits include The Mentalist, CSI, NCIS, and Frankie and Grace. He directed numerous feature films with actors such as Ben Foster, Hilary Swank, Corbin Bernsen, Dan Aykroyd and Kirk Douglas. He also directed 7 episodes of One Tree Hill, Wreckage, and the highly acclaimed one-take film Somebody Marry Me, which won numerous awards, including the Best of the Festival Award at the Hoboken International Film Festival. John discovered Julian Feder in Marnie’s class and cast him as the lead role in the feature “Po”, which was accepted into several prominent festivals. Burt Bacharach was so moved by the piece that he wrote the music for it. Please call or email ASAP to secure your spot. Fee: $100 and space is limited. Must pay in advance.